C’mon — we all want to ask it, but honestly, we don’t want that question to be associated with us. So, that is why we took your questions anonymously AND we answered them! Here are the questions you’re too scared to ask your boss in the workplace. I did not put in my two weeks’ notice, should I have? Is it okay to have a smelly lunch? How many drinks can I have at a work lunch? Should I be afraid to show my tattoos at work? Should I hang out with my coworkers outside of work? How many breaks are allowed? Will I get in trouble if I take 5 breaks? Don’t have a resume, who can help? AND MORE that we can’t write out!  Want Pete the Job Guy to answer your questions you’re too scared to ask, ASK US! Pete: But first I wanna welcome Erica Brockway to the show. Erica welcome! Erica: Thank you, Pete. Good morning everyone! Pete: Good morning! Good morning! Erica’s division director with SNI Companies and she’s been with SNI for three years. We’re glad, pleased as punch she’s here, and Taylor McClellen is here. Taylor Woo! This is a repeat performance for you. You’ve been here before haven’t you on the show? Taylor: No. This is my first time. Thank you for having me. Pete: Did you just call me a liar? Pete: This is my show Taylor. Arren: No. I think she called you Old Pete. Pete: Oh. I am old. That’s better said. Pete: I’m an old guy. Well, Taylor is a staffing manager also with SNI Companies and you guys place, what, tell us what types of candidates you place. Taylor: We placed, specifically in accounting now, we place Accounts Payable, Accounts Receivable, Staff Accountants, Bookkeepers, and then our company, you know we also extend out to Staffing Now which does all the clerical, customer service, sales type people as well. Pete: Okay, do you do it on a temporary basis? Perm basis? Both? Taylor: Yah, we have Contract Specifically, which is just a limited amount of time. Contract to Hire, which is something that we anticipate you’ll be converted over to Permanent with the company. And then we also have Direct Hire so you just get hired on permanently with the company straight away. Pete: Got it. So if I’m a company and I need temporary employees, let say, we’re coming up to my peak season and I need 15 customer service reps, or something, what do they they just call you? Taylor: Yeah, you call us and we get em in for ya. Erica: It’s easy for the client. Maybe not so much for us. Taylor: Yeah, lots of overtime on our end. Pete: Okay, good good. Well, that’s the good part. So candidates too so I guess you’re always recruiting always looking out for candidates. And how do you get your candidates? I don’t even know. Taylor: It’s funny. As someone comes new on our team, I always tell people you’re gonna find candidates anywhere. I mean, as we’re walking in to the studio today, in the parking lot we’re looking at people. Erica: We love Chick-fil-A people! Taylor: drive through attendant is a nice customer service person, I will, as I give them my credit card, give them my business card. Pete: Do you know, you’re hitting on something good because I even know employers… some elements can be taught, other elements you bring to the dance and if I get good service somewhere, if I’m sitting next to somebody on an airplane and we strike up a conversation and they have good interpersonal skills and then we start talking about what they do… cause that’s what you, it’s not like, hey what are your exact skills? It’s the interpersonal, that interaction, that becomes very important and you know, like you said, it doesn’t matter where you’re at, you’re always recruiting! Always. And then I get your brother’s uncle’s sister’s cousin is moving to town and can I get a resume and they send me a resume I’m like AHHHHHHHHH! Pete: It’s like perfect. It’s a walking, breathing fee. Erica: And we were able to bring her in. So even better, honestly, than the server, she was able to fill one of our accounting positions pretty quickly. Erica: You just never know who people know and who’s in their network. Pete: I’m gonna blast this out to everybody out there! I want you to listen to that. If you’re talking to, having a conversation with, somebody that’s a job interview. Okay? Just think about it. All your conversations with people you do not know, those are job interviews. People are judging you and you don’t know who’s a recruiter. Pete: Now, I know both of you two have deep ties here in town. You know a lot of client’s, a lot of candidates and you’re sizing people up. You’re having a conversation, saying, Hmmm this person would be excellent over here or they would go well over here and all that other fun stuff. Pete: Hey! Here’s what we’re gonna do. Arren, do you got a list of questions? Arren: I have so many questions for you guys. Pete: But why don’t you pick a question? You ask one Arren and I’ll ask a question and we’ll see. Either one of you take the question. Arren: Okay, question number one. Oh, these are so funny! Pete: How about the one Marshall, give them the one that Marshall wrote in. Pete: I like that one. Arren: So, one of them is from a listener. His name is Marshall and it says, “Been self-employed for years. Want to work for a regular company. What now? Don’t even have a resume. Who can help?” Whoa buddy. I can answer that one, but you guys take it away. Erica: Yeah, absolutely. Actually, I had someone come in today for an interview that was in a very similar situation. She actually was running a pharmacy with her husband for the past 13 years, doing all of their books, running all of their HR, all their payroll, accounts receivables, and everything. And now she’s moved up to Jacksonville and she’s interested in starting a position, possibly as a bookkeeper or office manager but something a little bit less hands off than owning your own business. Erica: She did have a resume, so we kind of went through everything that she had but if you don’t have one that’s something that we can help with. My biggest tip is to just go online and you can find resume templates and start to kind of fill out your experience and everything. And then the next step, is if you meet with a recruiter, such as ourselves, we can help you tailor that to new jobs. Pete: You know, when people work for themselves, self-employed, they wear a lot of hats. Pete: And it’s quantifying all their responsibilities with the action verbs when they kind of bullet out that experience and those are purchasable skills. Those are commodities that people will pay for, those skills. It’s just organizing them properly. Pete: People also have to understand, the resume’s like a bit of a blueprint. There’s a story behind the resume. You wanna have a quality resume that’s tailored for each position that you’re gonna have but you have to be ready. And I know, working with you, Taylor, that you help coach them up. These folks, this person hasn’t interviewed in 10 years. Pete: They’ve been the boss, so you do help them prepare, dressing for the interview, potential questions, all that? Taylor: You’ve gotta back that up or that reason makes me think that you wouldn’t be interested in a company because of x. So it’s really nice because they kind of get their first line of interviewing through us and then we get to send them out to companies that would be a good fit for them. Taylor: That candidate has to be super aware of what they want out of it. Are they okay with an 8 to 5, you have to clock in clock out, or are they looking for something where they can kind of roll in at 9 and leave at 6 and as long as they get their hours they’re good, they really have to think about these things so that they’re not launching into something where they’re going to be extremely unhappy in their next position. Pete: Right, right. Good! Good advice. Arren: From her to figure out what you’re trying to get, like you were saying. Taylor: into a job that we may have and we’re saying, “Oh! That actually aligns with something that we have and we’re going to bullet that out and we’re going to add it to your resume.” It’s a software that you didn’t know that was actually transferrable or something that you thought was really simple, is something that another company finds actually, really valuable. Pete: Outstanding! Alright, Erica, you’re up. Let me pull up the next one. Let’s see what we have. Pete: Is it really still necessary to give a two-week notice, when I am quitting my job? Erica: with someone who is resigning, found another position. She was recruited out of her role that she is currently in and she wanted to give a two-week notice and her employer was telling her, you know, we don’t need it. Pete: gonna be agreed upon, 100% across the board. You look up the next question, because you gotta ask the next one. Arren: Well, I was gonna say, tell that to the nanny who quit on me the morning of, but okay. Taylor: Well, you’re not gonna give that nanny a good reference if someone calls and asks about it. Arren: Yeah, don’t ask me, lady. Pete: Rule of thumb. Right! You know, I’ve been doing this 30 years. Right? Rule of thumb is you never want to burn a bridge. Pete: You just don’t want to have the bridge burned. To walk out, like to say, “Okay, I quit! And I’m just done.” It means all the essential functions that you were performing were unnecessary to the company. Pete: Right? Or, if they’re not unnecessary, somebody else is going to be burdened with them. Taylor: Talk to HR. Yup. Pete: You’re gonna talk to Human Resources, and you’re gonna exit, and it’s something different but okay. Pete: What do you got, Arren? What’s next? Arren: I wanna lighten up the mood with the best question from Jason. Is it okay to have a smelly lunch? Arren: one question from Jason. Thank you Jason, so much. Erica: I feel like if you have to ask, it may be a little too smelly. Pete: Oh my god! Guilty. Guilty right here. Arren: I love salmon! Right? Pete: I was on a health kick for a while and all I ate was boiled chicken, egg whites, and tuna fish. Pete: heat that up in the microwave in a small office place. Pete: It just smelled like a blast of sulfur coming at everybody. And I just went about my way! Hey! I’m eating my tuna and eggs and that’s it. Arren: Well, yeah, I’m sure there’s a nice way to address it. And there’s also, like on the other end, it’s also nice to be accommodating and thoughtful. Taylor: Right, like a forewarning. Taylor: You know, hey guys I’m going to go heat up this salmon! Taylor: And maybe walk away for a little bit. Pete: That’s a good question! You know, how do you handle it? You know you don’t kick a trashcan across the hall and scream, “It smells!” Probably, hey, you know, maybe once a week you bring that in or so. Taylor: Well, and so many people are sensitive to different things. I think you’ve just gotta know your co-workers too. Taylor: Order breakfast into the office and it’s eggs. Taylor: So it’s been this learning period. A little bit for her and a little bit for us. We’re a little bit more conscious and she’s a little bit more accommodating. It can all be worked out. Arren: Yeah. Right. For sure. Erica: Hmm. This one gets testy but my initial instinct is to say yes, but I think that you have to set boundaries and I think that you kind of have to be up front with them. Erica: And just kind of know the dynamic of the workplace. If it’s something where you have direct reports or it could be a little bit hairy, I think, “proceed with caution.” But I think it’s nice to have that comradery and that’s what makes it fun to go to work. Pete: I don’t think there could have been a better answer to that. Pete: Proceed with caution is the correct answer and yes, it is okay to have relationships outside of work. Pete: Sorry to cut you off but the problem can be is, understanding the dynamic like you said. Arren: Oh. I was just saying it’s, you said it’s nice to be friends outside and I said, except with Pete. Pete: Yeah. You don’t wanna be my friend. You know, cause it won’t last long. I’ll do something inappropriate and everyone will just yell at me and all that stuff. Arren: Oh it’s my turn! Arren: Oh my gosh! Do you remember this story? Arren: No, no don’t say their name. Pete: I’m not gonna but she picked up the doggone stun gun and stunned him. He goes, they just stunned each other. It was horrible. Pete: Well, you know, there’s a no stun gun rule but we could talk about it. Okay. Guys that music tells us that we have to go to the bottom of the hour break but I want you to come back in just a few minutes and we’ll have you back on the second part of the show. Everybody, you’re listening to 104.5 FM WOKB. Pete: Welcome back all you Hard Workers! Doing the hustle with me on a Sunday morning. We’re glad you’re here. My guests are Erica and Taylor from SNI Companies, we’re so glad you’re here! Pete: Either one of you guys take this? Should I be afraid to show my tattoos at work? Taylor: Oooh, totally dependent on the company. Pete: Okay. Walk us through that. Taylor: Okay. So we have a couple of companies that tattoos are actually welcomed. Taylor: They love the edgy look, they think they’re awesome. They totally celebrate it. Pete: Check out the paint, the body paint! Taylor: Of millennials have tattoos. It’s becoming more acceptable. I think that the rule of thumb is to arrive with your tattoos covered, in business casual/business professional attire, whatever you’re told for the first day and then start to gauge based on your employees around you. Taylor: If it’s something that they’re showing and it’s cool and nobody has said anything then you’re good but it is a little bit of a play it safe at first type of thing. Pete: Ultimately, that has no bearing on your ability to perform the essential functions of your job. Pete: society. You know, there are… people judge and employers have a right, to make certain decisions, based on that. Okay. Let’s move on to the very next one and let’s see. You got one Aaren? Arren: I think this one’s a typo. It says, “How many bras,” but I, after reading it, I think they mean breaks. So, how many breaks are allowed. Will I get in trouble if I take more than five breaks. Erica: Oooh. That is a little excessive, to me. Erica: I would say, again, it’s on an employer by employer basis. I don’t know of any client that we work with that would say, ” Yeah, go ahead and take five breaks.” But again, that is something that should be pre-determined. Typically, we’ll give you a schedule, based on the employer that you’re working for and they’ll tell you your lunch break is an hour. Take it any time between 11 and 1. And you get a 15 minute break in between the hours of 8 and 12 or whatever it may be. But I think that that’s a really simple answer, just talk to whoever your direct report is. Erica: And they’ll be able to iron that out really quickly. Arren: At work lunch? Oh! Pete: How many drinks can I have at a work lunch? Taylor: Sounds like Dave maybe already had a couple. Arren: Let me just hop on the Instagram and write Pete. Taylor: Yeah, and I think it’s easy to be one with the crowd if your client is drinking and that’s what they choose to do. At a work lunch, you order a soda water with lemon. Looks like you’ve got a drink. Pete: That’s a page right out of my book. People don’t know I’m having a diet ginger ale with a lime in it. Pete: I’ll show up at happy hour, diet ginger ale lime, walk right up with my straw and I’ll stir it and whew! Boss, this is some strong stuff! Erica: Well, and you don’t wanna be the guy that the office is talking about the next day in a derogatory way. It’s just not worth it. Pete: But you know what? Too much alcohol, and in a work environment, is a recipe for something that’s not gonna be good. Right? That’s just the way it is. Pete: Alright. Let me ask you a couple things. Alright, we’ll start with you, Erica. Here you are as a division director, running a division. Pete: And you’re doing a great job. You’ve got a lot of clients, you’re building a good business. You know, you’ve got a real good thing going. What would you tell your 21 year old self? Pete: That’s what I wanna hear. Arren: Wait! You’re not 21 right now? Erica: Gosh, no! My 21 year old self. I’m trying to put myself back in that place. I would have been, probably a Junior in college. I can tell you, I think I would have told myself what a recruiter is and what they do. Erica: Because when I was 21 and I went to UNF, I had no idea that a staffing agency existed. I had no idea that there were people out there that, pending graduation, were able to assist me and that it would be so simple for me to have the door open to all of these companies that I had never even heard about. Pete: Right. It’s kind of funny because you don’t go out and get a degree in staffing or recruiting. Pete: No 12 year old says, “When I get older, I wanna be a recruiter! I wanna be a staffing professional!” We end up here. Pete: And then you end up here and you guys are fortunate. You started this business younger. I actually got in a little bit older and it was like a hand fitting in a glove. I help people all day long. I help companies when they need to find talent that they couldn’t find on their own, they couldn’t find it fast enough on their own. I help people that, sometimes, are in a difficult position. They’re in a vulnerable spot in their lives. They need to generate income. Pete: I help people that need to find that next step in their professional career. I help them get closer to home, or better benefits, or help put them at a company where there’s a career track. And it just seems the more people I help, the more money I make. I’m a capitalist and there’s no shame in cashing a big check in life. There isn’t. I help people. There’s a lot of different ways to make money in life, but I’ve found that recruiting and staffing, it’s a feel good moment. When my head hits the pillow, the more people I help during the day, the better I feel. Pete: It’s a great profession. Taylor, I’m gonna ask you the same question, get your face right up next to that microphone. Pete: What would you tell your 21 year old self? Taylor: One, it’s gonna be okay. Taylor: And I could have figured out that I was going to be doing this at 21. Pete: To all these folks, a career counselor that can help guide you and people that are in the business of making placements and it’s great. You know, I wanna… okay, so let’s do this. Taylor, number one, you know you’ve been fantastic in Jacksonville. You’ve built a big business which is great but we’re losing you in Jacksonville. Pete: And we are just so sad that you’re leaving. The good part is, is what? Taylor: I’m going to Denver! Pete: I just know you’re going from one good office to another good office. Taylor: I am just, I am so excited and I’m so happy to have found the SNI family and that they’re supporting me in my move. I’m gonna be really sad to leave the Jacksonville part but now I get to go to Denver and meet all the new people and then hopefully, integrate them back together. Arren: Erica has tears in her eyes! Erica: I know, sorry. Until that week we’re good. Pete: And Erica, I’m gonna ask you, if I’m a client or a candidate here in Jacksonville, how do we get in touch with you, your divisions, and see what open jobs you have? All that good stuff. Erica: So, there a ton of ways. I know Pete preaches our 904 713 2550 number every show and then you can email us, you can find us on LinkedIn, Erica Brockway is my LinkedIn. Rose has recently started an SNI Companies Jacksonville Instagram. Erica: You can direct message that if you are looking to reach us that way. Really, I mean there are a ton of ways. We are just at an arm’s length away. Pete: Yeah, and that’s the key thing. All they have to do is reach out if they, if clients need help finding candidates on a temporary or permanent basis or even temp to perm, they just reach out to Erica, reach out to Taylor, reach out to SNI Companies. 904 713 2550 and if they’re candidates looking for a job, they can reach right out, they can go out to s www.snicompanies.com. You know what, Arren’s gonna bust me ’cause nobody says the www anymore. Erica: Oh my gosh! I still. I feel like I still do. Taylor: Oh my gosh, Erica. Erica: I do! The world wide web! Pete: I have issues. I still say the Instagram, and the Internet, and you know all that other stuff. Pete: with Pete the Job Guy this morning. Taylor: Thank you for having us!